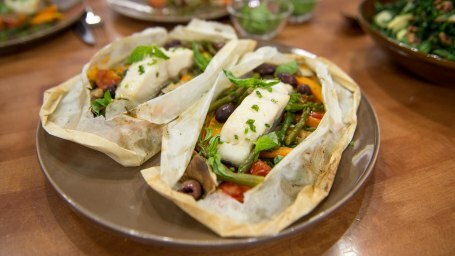 Easy-to-make, healthy Mediterranean food. 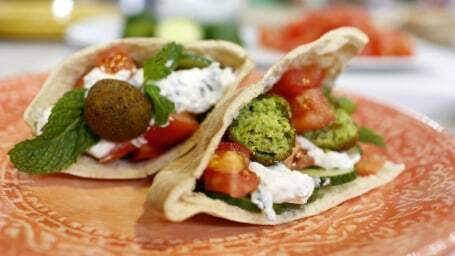 Find the best Mediterranean recipes for couscous, falafels and more. 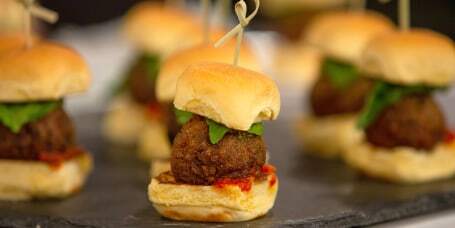 These veggie meatballs make for flavorful, juicy sliders and are a great recipe to double or triple for additional meals later in the week. 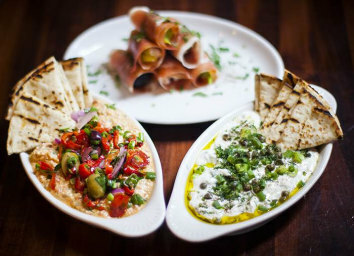 Make this no-cook Mediterranean mezze platter by chef Michael Psilakis of Kefi, Fishtag and MP Taverna restaurants. 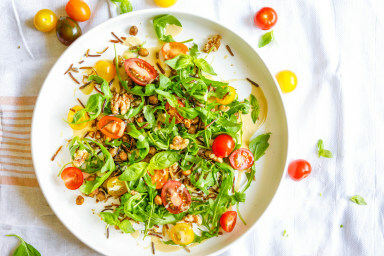 This rye berries salad is rich with vitamins, antioxidants and protein that can help with weight loss and prevent disease. 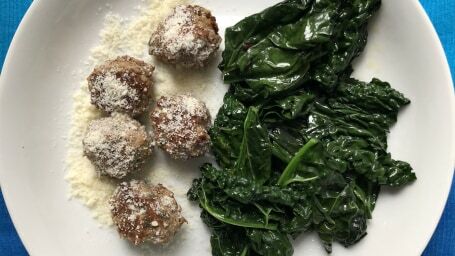 These lamb meatballs with kale are keto-friendly and they're perfect for any make-ahead meal. 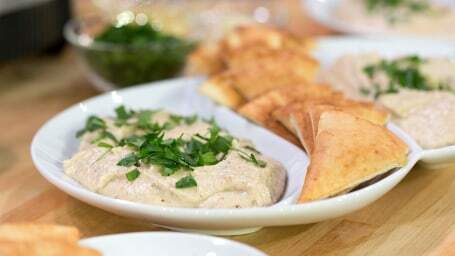 This protein-packed meal with chicken and tahini is great for athletes — or people just looking to add a little healthy fun into their diet. 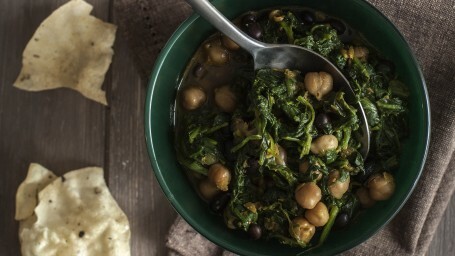 This vegetarian chickpea stew is the perfect weeknight dinner. 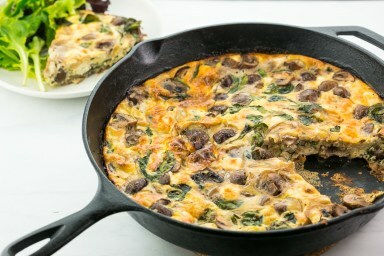 It's low in fat, high in fiber and will help you feel full. 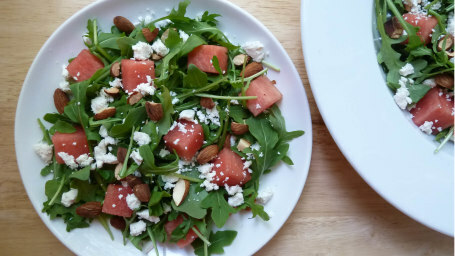 This salad is earthy, bright, a little spicy and totally delicious, all thanks to the unique harissa-citrus dressing blend. 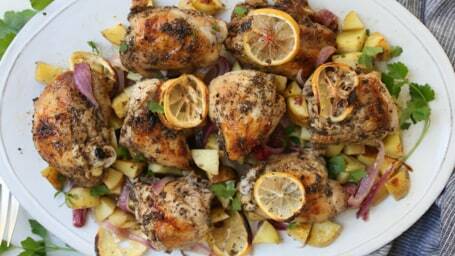 Make this quick and easy sheet pan chicken dinner with Greek-inspired flavors for a healthy meal on busy weeknights. Sweet golden raisins, savory sun-dried tomatoes and crunchy cauliflower come together in this light and fresh salad. 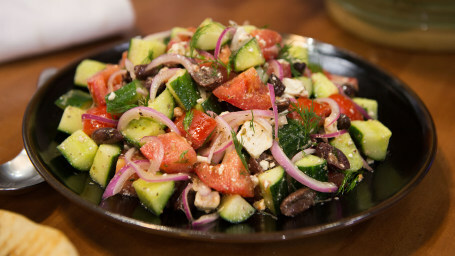 A little feta makes it betta! 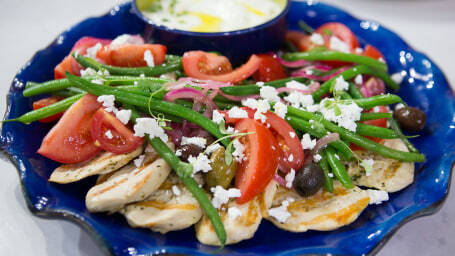 Make grilled chicken great with Mediterranean olives, veggies, yogurt and feta cheese. 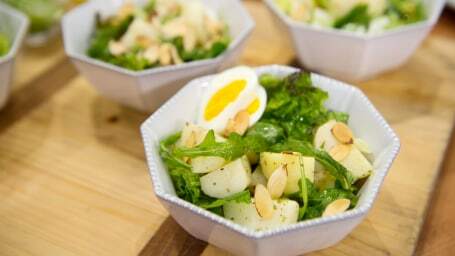 Ditch the mayo and make potato salad healthy and flavorful with olive oil, fresh herbs and crisp lettuces. 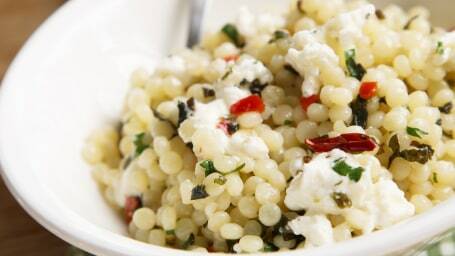 This simple Israeli couscous gets fresh flavors from oregano, parsley and dill. 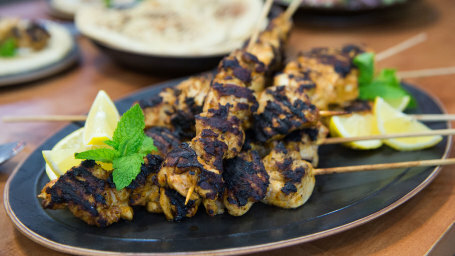 Grill up a taste of the Mediterranean with this recipe for spice rubbed and marinated chicken kebabs served with pita and tangy yogurt sauce. 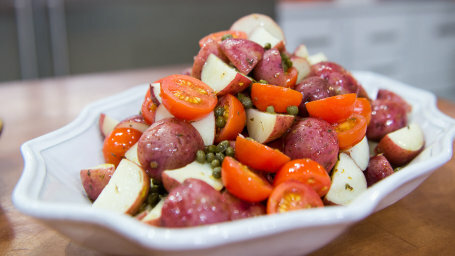 Try this Mediterranean potato salad that ditches the fat while keeping the flavor. 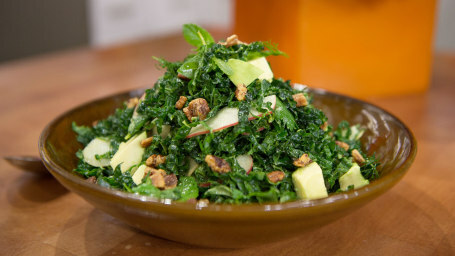 Creamy dressing coats crisp kale, rich avocado, crunchy pecans, sweet apples and spicy chiles in this perfectly balanced salad recipe. 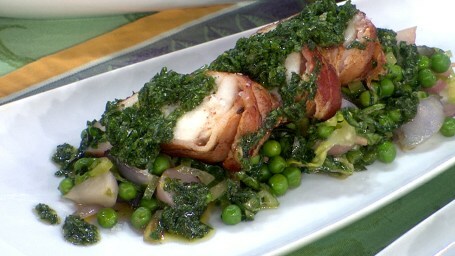 Easy and impressive, this healthy cod dinner recipe from chef Seamus Mullen can be made in about 30 minutes. 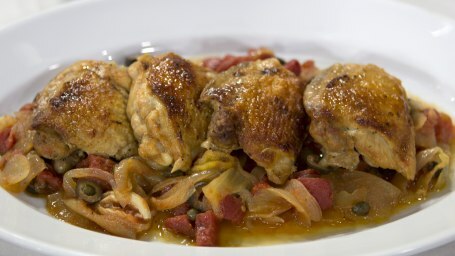 Aside from being a super healthy Mediterranean meal, it's fast, simple and can be made ahead. 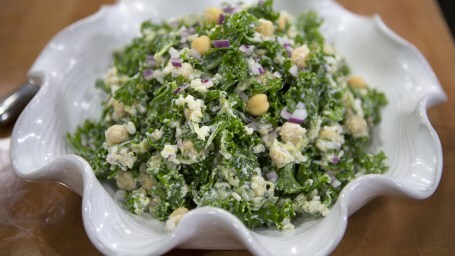 The creamy tzatziki dressing is so flavorful that you don't even realize it's healthy. 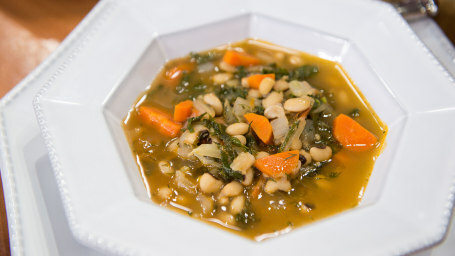 Martha Stewart makes a satisfying soup that is perfect for a light meal or as a delicious dinner party appetizer. 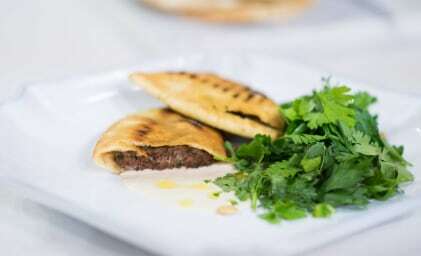 These grilled pitas stuffed with beef and lamb, called arayes, are perfect for summer entertaining. 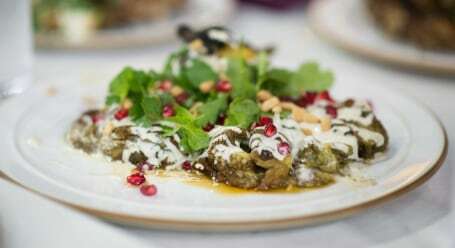 Serve 8 people in only 30 minutes with Eden Grinshpan's za'atar and lemon grilled chicken with eggplant and tahini. 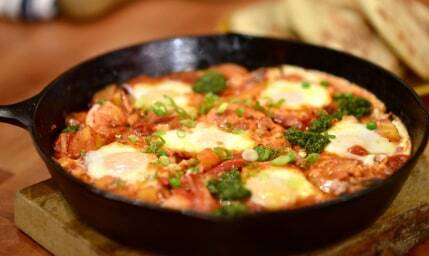 Acclaimed chef Alon Shaya shows us how to make this easy, delicious dish of eggs baked in tomato sauce (called shakshuka), Louisiana-style. 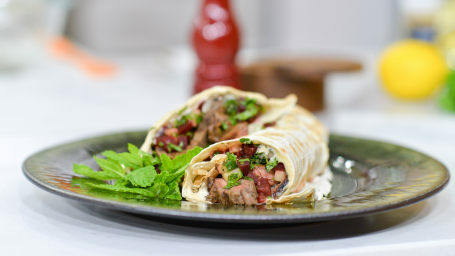 Finish this juicy flank steak shawarma and beet tabbouleh with a drizzle of garlicky homemade tahini sauce. Aarti Sequeira makes pea and mint patties, a little something different for a veggie-filled lunch or dinner. 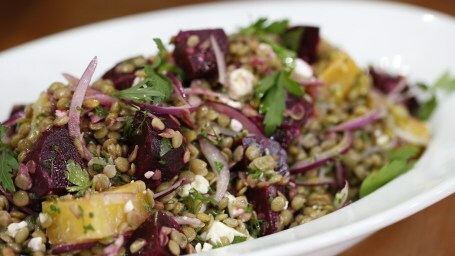 This beet and lentil salad is super-healthy and delicious. 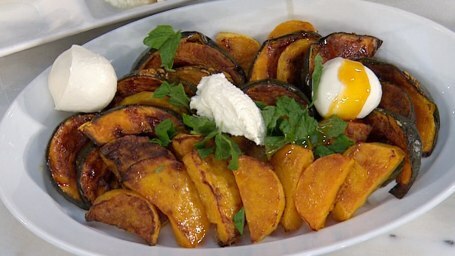 Try Siri Pinter's delicious stuffed eggplant dish. 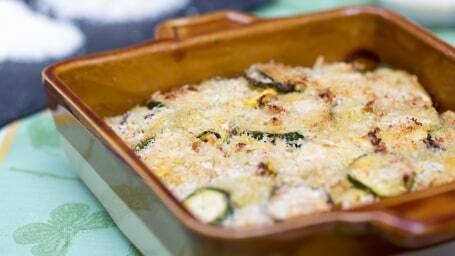 If you can find panko-style breadcrumbs they give it an extra bit of crunch. 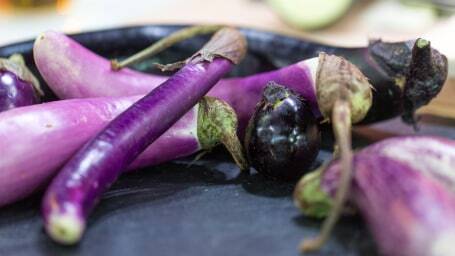 Whether you love eggplant or hate it, Siri Pinter's roasted eggplant dip is a must-try. 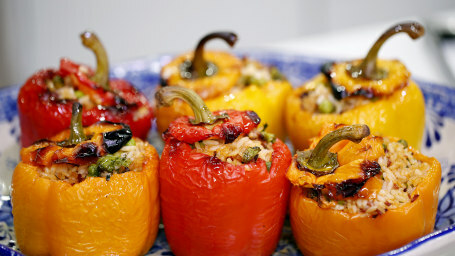 Chef Rui Correia offers a delicious recipe for roasted peppers stuffed with rice and vegetables. 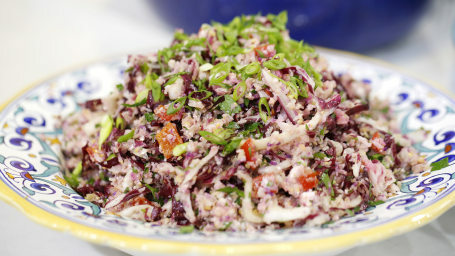 Try this delicious salad using cauliflower from Food Network's Aarti Sequeira. 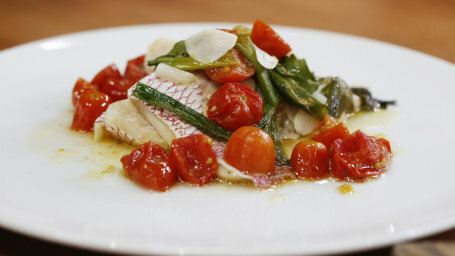 Try Al Roker's quick, light and easy hobo packs with fish and vegetables, great for summer! 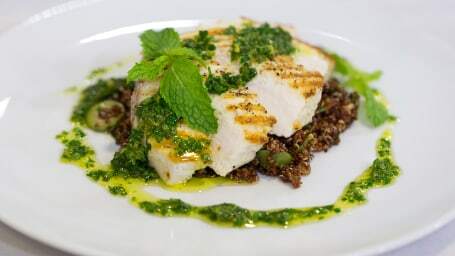 Take fish to the next level with this grilled swordfish over quinoa topped with a citrus gremolata. 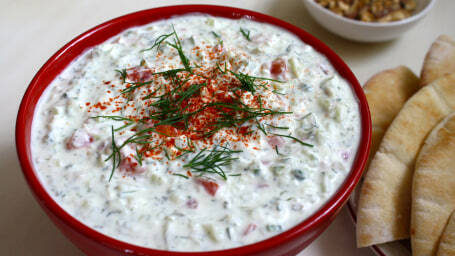 This is a fun take on tzatziki, a traditional Greek dip and condiment. The chopped tomato adds another cooling summery note. 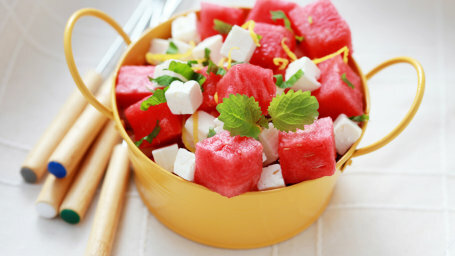 This simple and healthy watermelon salad makes a great summer addition to any meal. 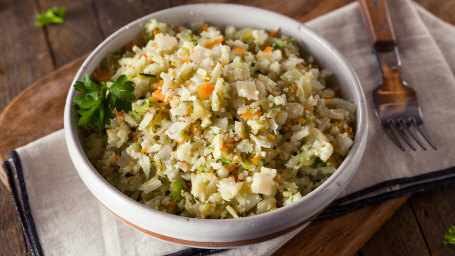 A mandolin slicer is a pretty cool tool to own, and there are affordable options out there, however it's not necessary for this recipe! 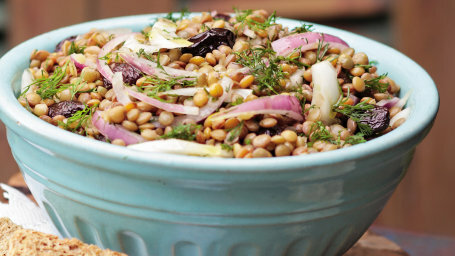 This recipe demonstrates how easy it is to cook lentils, and it can be enjoyed at room temperature, making it perfect for a picnic. 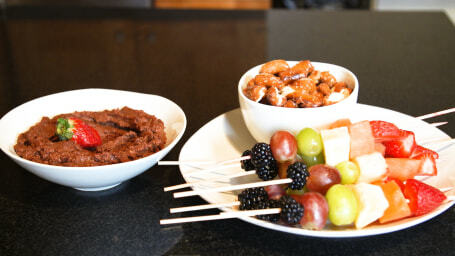 First the bacon and fish get poached then sauteed for crispness and maximum flavor in this elegant dish by celebrity chef Gavin Kaysen.